No more gifts. No more tree. No more mess! Thank goodness. Now it’s time for a brand new year. A new slate. 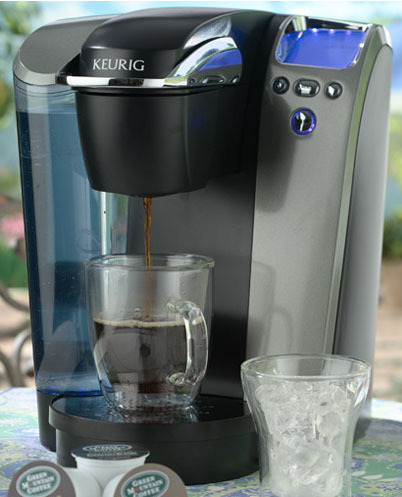 As you may know, I’m a very proud owner of a Keurig Brewer. It’s basically my lifeline in the morning. I love coffee. I need coffee. And I don’t see myself drinking anything else in the morning to get me through the day. That is exactly why I was so happy to be part of an ambassador program from Green Mountain Coffee. I’m one of the K-Cup Ambassadors who’s lucky to try the newest k-cup portion packs every month. That’s right. It’s one of the best blogger perks! 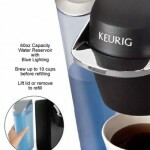 Having my own Keurig is like having my very own “barista” right under my fingertips. I can literally have a different variety of coffee each and every day of the month! For the Past month, I’ve been drinking the Fair Trade Spicy Egg Nog and the Fair Trade Gingerbread K-cup. Both are equally delicious but my favorite of the two is definitely the Spicy Egg Nog. I love Egg Nog during the holidays — who doesn’t? It’s rich, creamy and so satisfying. 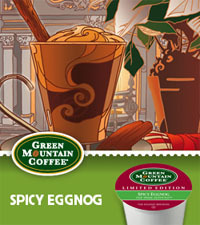 I would have never thought to add egg nog to coffee but Green Mountain Coffee did just that! Both Gingerbread and Spicy Egg Nog are light roasts so if you’re like me, who loves strong coffee, brew it on the smallest setting — You’ll enjoy a luscious hot mug of coffee, brewed just right. As with many of our flavored coffees, we took a down-home cook’s approach to crafting this brew. Combining flavors and roasts is very similar to working with your favorite recipes. And who doesn’t enjoy baking fresh, hot gingerbread? After baking various recipes and experimenting with different flavors, our final result tastes almost like a proud, “mother’s favorite” type of gingerbread pastry. For some, the Holidays Season just isn’t complete without eggnog… whether theirs is the traditional, spirited milk and egg punch, or something with a little less nog. We’re all for holiday traditions, so we just couldn’t help ourselves. We brewed up a batch of coffee that’s got the cinnamon and nutmeg spice of the nog you know, with a creamy body all its own. Add fresh (or whipped) cream, and brew up your very own holiday tradition! 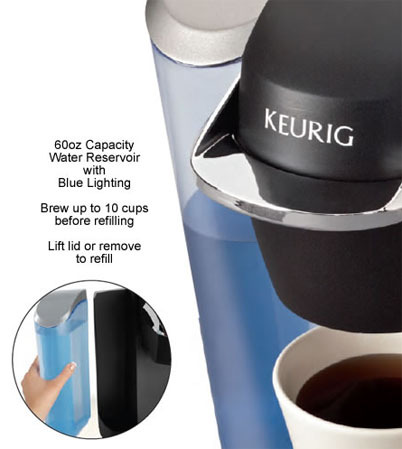 Thanks to the folks at Keurig & Green Mountain Coffee for sponsoring this lovely giveaway. ONE (1) VERY lucky New York Chica reader will win this prize either for themselves, for a family member or a friend. ***Two (2) Boxes of K-Cup Portion packs – One box of Gingerbread AND One box of Spicy Egg Nog (which is SOLD OUT on GMC’s site!). 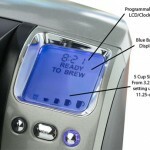 Description: The Platinum Brewing System brews a perfect cup of coffee, tea, hot cocoa or iced beverage in under one minute at the touch of a button. 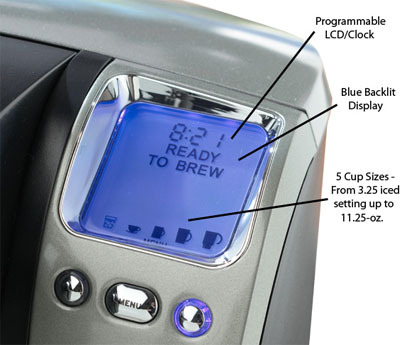 With an award-winning design, this brewer features a blue, backlit LCD display that allows you to program water temperature, set the digital clock, Auto On/Off and your favorite cup size. With the choice of five cup sizes, the Platinum brewer offers a removable drip tray to accommodate travel mugs. 1: Visit Green Mountain Coffee’s web site and tell me what is one K-Cup Pack you just HAVE to try (besides Gingerbread & Spicy Egg Nog) and why? 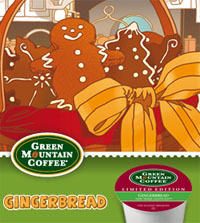 1 ) Like the Green Mountain Coffee Facebook Page and tell them I sent you! 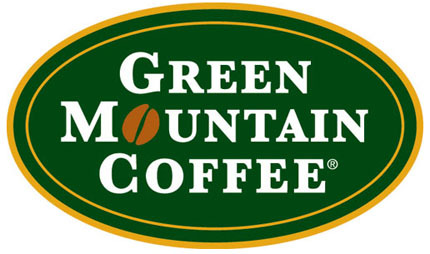 2 ) Follow @GreenMTNCoffee on Twitter. 4 ) Like this post (button is below this post). 5 ) “Like” New York Chica on Facebook. If you liked New York Chica already (thanks! ), just say so in the comment. 6 ) Subscribe by email for free updates. If you’re already a confirmed email subscriber (thanks! ), just state it in the comment. 8 ) Add me in your circle via Google Plus for 2 extra entries. Add in the comment by posting, “Entry #1, Entry#2″. Thx (Look at sidebar). 9 ) Post this giveaway onto your Facebook page to spread the word and send link. 10 ) Post this giveaway onto your Google Plus page and send link. ALSO, please note, if you don’t see your comment right away, it’s not because it didn’t go thru – it simply means your comment went to the SPAM folder and I have to approve it. Thank you. Disclosure: I am a proud K-Cup Ambassador. This post is sponsored on behalf of Green Mountain Coffee Roasters, Inc., Keurig & Your Perfect Cup. I have an on-going relationship with Keurig/Green Mountain Coffee. All opinions expressed here are always my own. I would LOVE to try Café Escapes® Mocha<3!!! THANK YOU SO MUCH:)!!! Daily tweet, this would be a great bday gift for my hubby, his birthday is today. I just have to try the Café Escapes® Mocha!! I would love to try the Caramel Vanilla Cream K-Cup because I think it sounds like it would get me out of a funk. I would love to try the Wild Mountain Blueberry coffee. I would like to try Hot Apple Cider Fruit Brew because it sounds unique. I’d like to try golden french toast. Swiss Miss® Hot Cocoa K-Cups because I love their hot chocolate. “Like” New York Chica on Facebook.